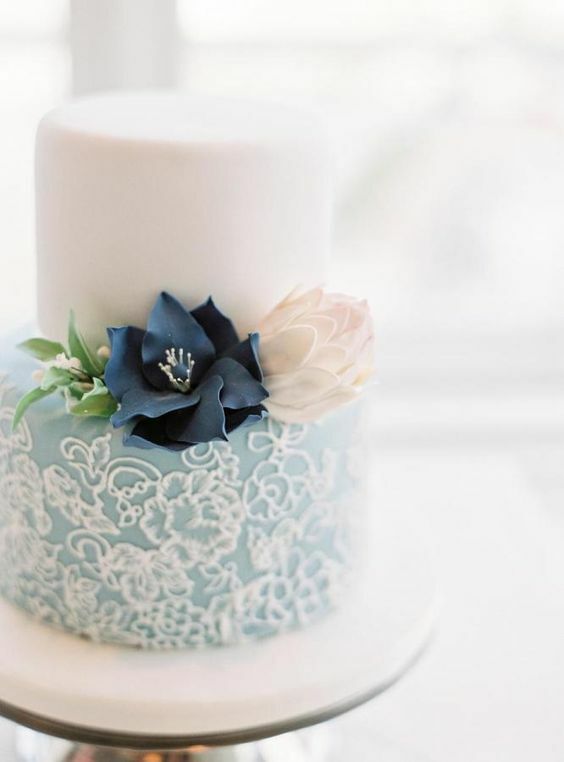 These elegant wedding cakes all have something in common: they are stunningly beautiful. 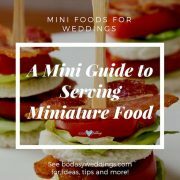 Whether it is a with touch of romance, glamour, simplicity or through their intricate buttercream piping, fresh florals, or elaborate cake toppers, these small and delectable works of art will definitely delight your guests. Pick your favorite! Elegant stripes and bold poppies cake. This cake definitely makes a statement. 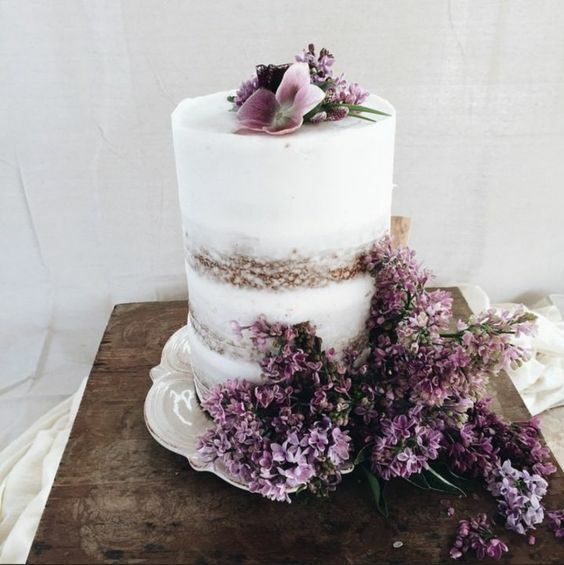 If you are planning an intimate wedding, you’ll love these cakes. If you are looking for something original and for what’s hot right now, you fall in love with them. And as wedding cakes do not need to be huge to make an impression, these single-tier cakes will stand out for their simplicity and elegance. These elegant wedding cakes are not ostentatious and therefore allow you to play with texture to turn them into magnificent wedding decor. Translating these works of art into a traditional three-tiered cake would cost you a small fortune. So, splurge and decorate away, it’s only one tier! 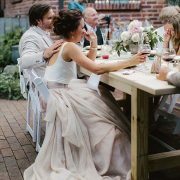 These cakes can fit any wedding theme: from bucolic to industrial, from vintage or boho to shabby chic. 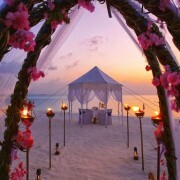 They will even fit a beach-themed wedding! Moreover, as the dessert tables and coffee bars trend keeps on growing, wedding cakes are being left uneaten. Such a waste! A single-tier cake will look amazing and I can assure you there will be no crumbs left! A really tall single tier half dressed cake with lilies. If you don’t want to bet on the traditional and have a few more guests to feed, go for the 2-tiered wedding cake. These cakes allow for a range of geometric combinations. For example, you can have a round tier atop a square or hexagonal one, or tiers of different heights with the same or different patterns. 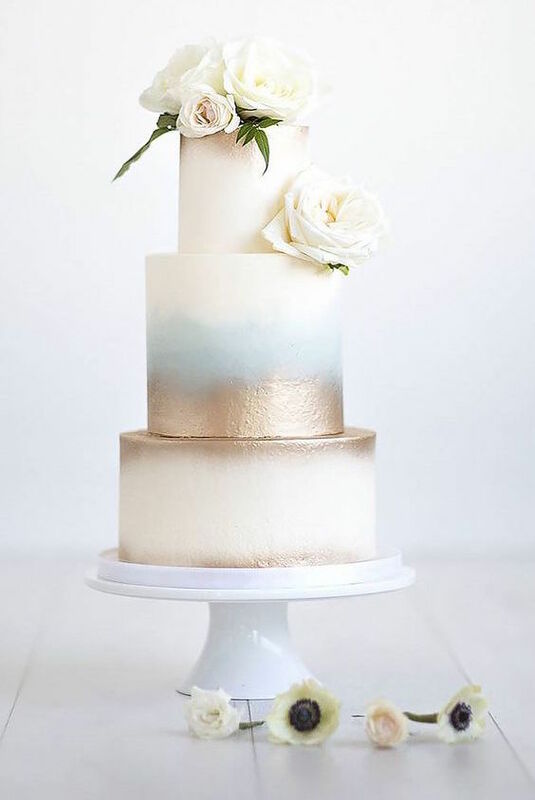 Pull off an elegant industrial or a rustic glam look by mixing metallics and thin layers of buttercream. 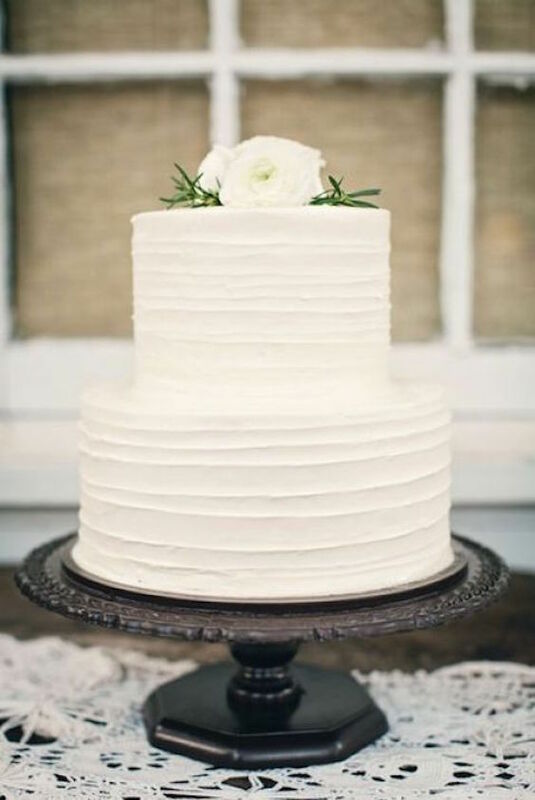 Classic and Elegant Wedding Cakes: Three Tiers Of Flavor! I promise that in one of my next articles, I will tell you the why wedding cakes usually have three tiers – but for now, let’s take a look at some three-tier confection masterpieces. Are you looking for a glam look? 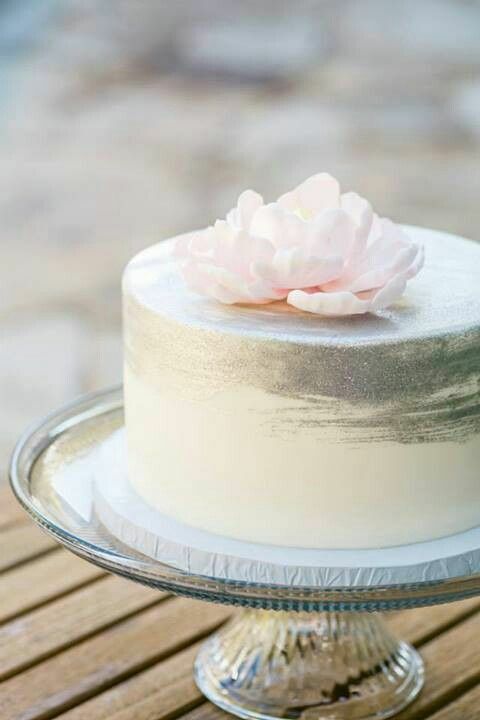 Elevate your frosting from simple to simply elegant with shimmery silver or gold sequins. If your wedding theme is industrial, then cover one of the tiers with metallic accents. For a rustic look, go with a half-dressed or semi-frosted cake with a thin layer of American buttercream. Or cover it with edible pearls, fondant or sugar roses for a vintage look. 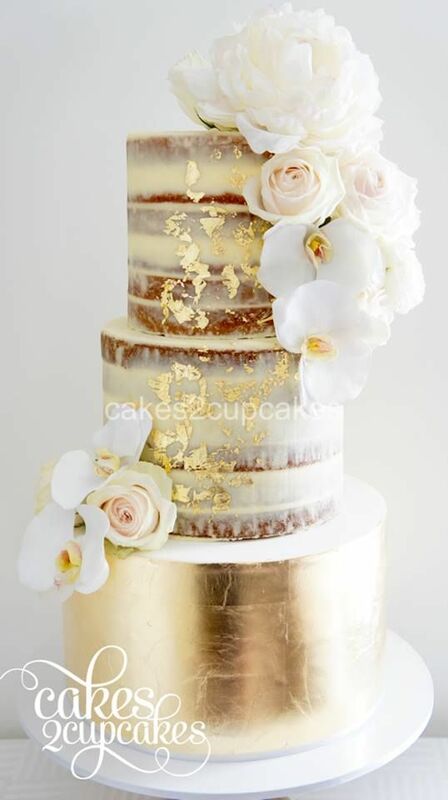 Half dressed or semi-naked wedding cake with gold leaf and fresh flowers by Cakes2Cupcakes. 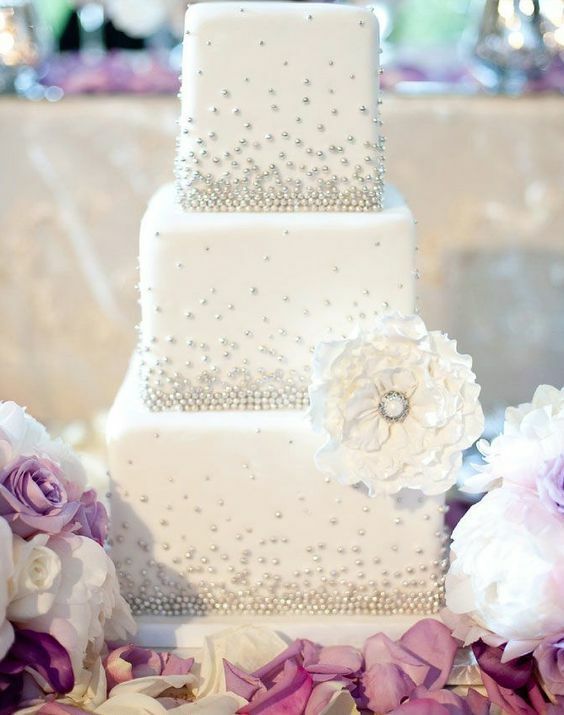 For a stunning and elegant wedding cake décor, let its height be the protagonist. Remember that sometimes less is more! Choose a single color or incorporate a couple of your wedding colors on your wedding cake. 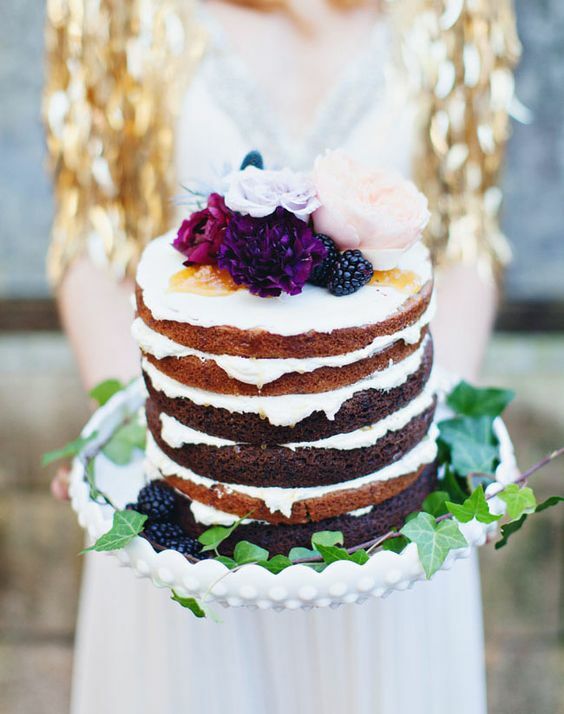 Avoid mixing too many colors if you want to seriously rock an elegant wedding cake. 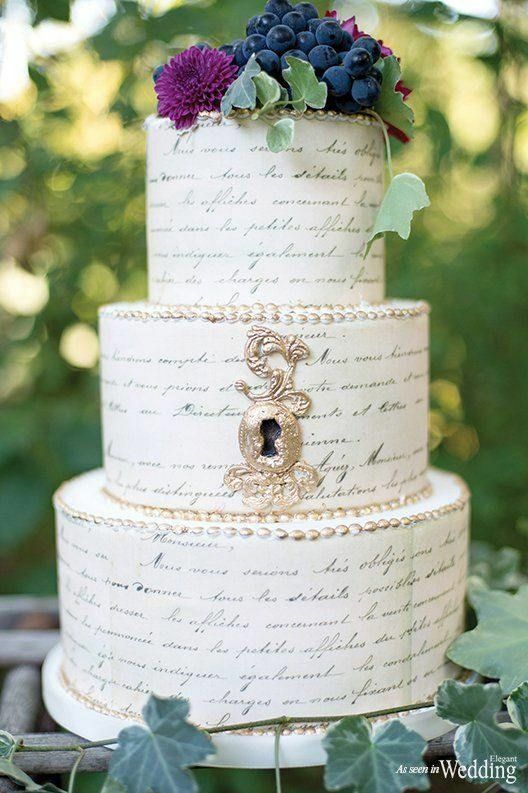 Write your vows across your cake in gold! If you’re throwing your house out of the window, then the sky’s the limit – literally! 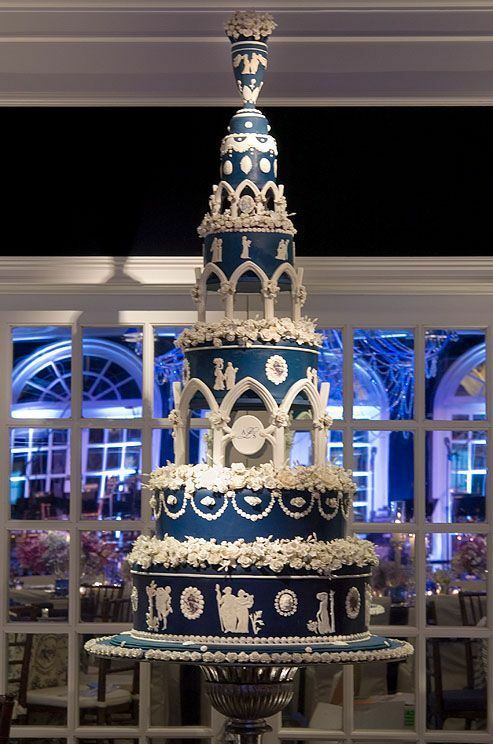 Wedding cakes can be as tall as the ceiling itself and huge weddings call for huge wedding cakes. 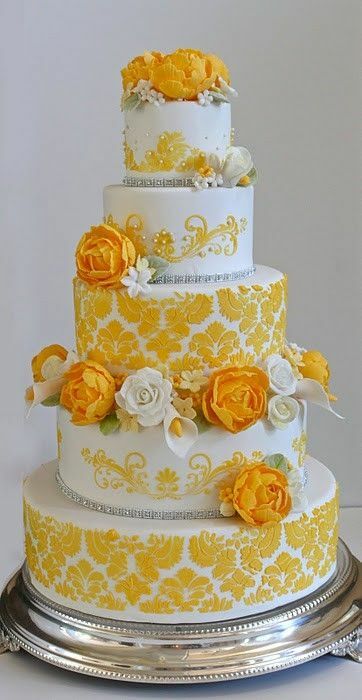 Remember that the presentation of an elegant wedding cake is fundamental to highlight its magnificence. If you’re throwing your house out of the window then the sky’s the limit! 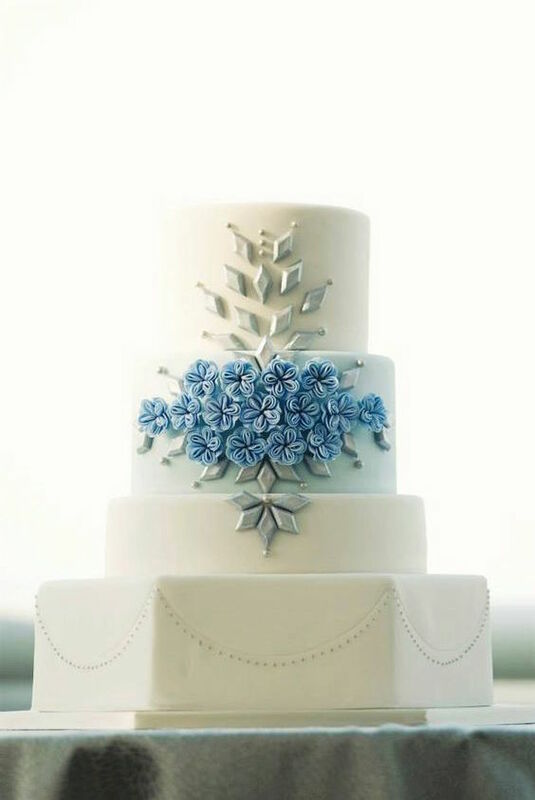 As you can plainly see, there is an unending array of choices when it comes down to elegant wedding cakes. Pick the one that represents you best and enjoy! 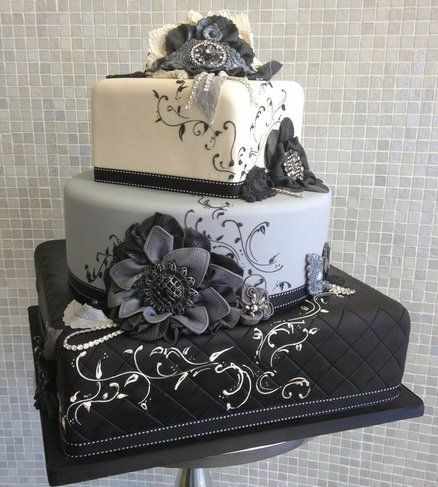 2-tier vintage cake with jewel stones, gray and white design with symmetrical focus. Great Gatsby wedding cake covered in sugar beading. 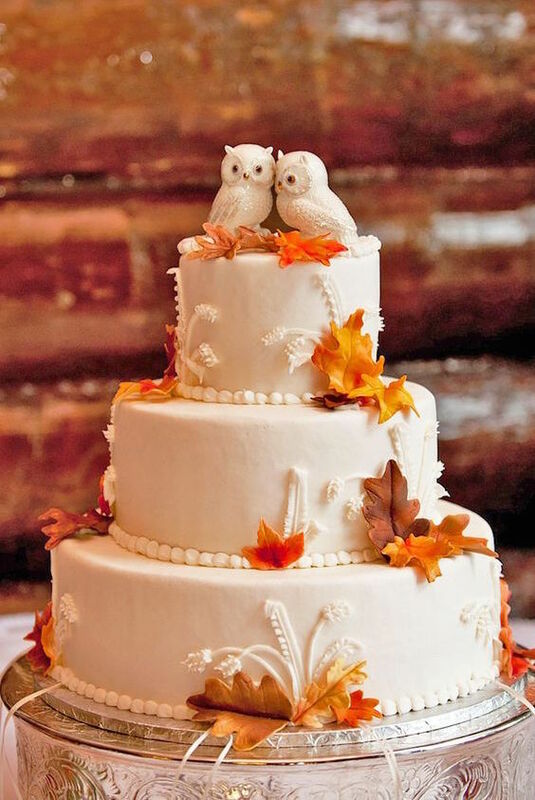 Love the magnolia cake topper. 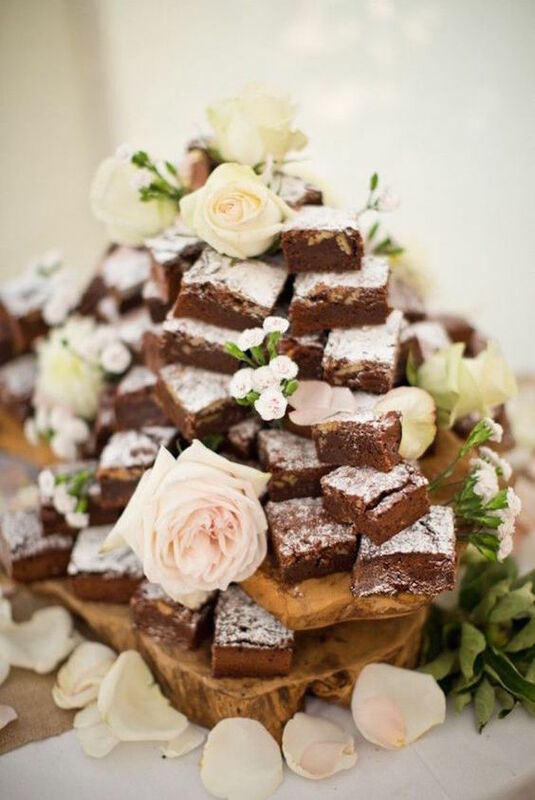 Brownie tower. Unusual wedding cake tower ideas. 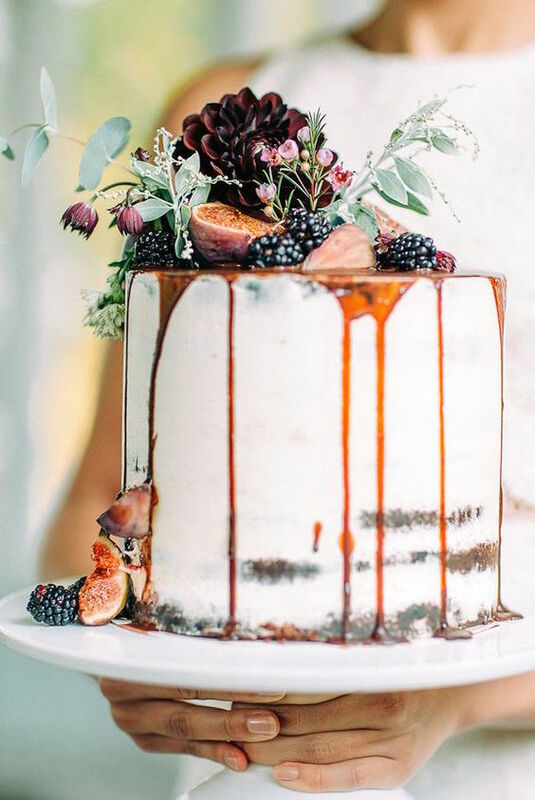 Half dressed wedding cake with fruit and drizzle. 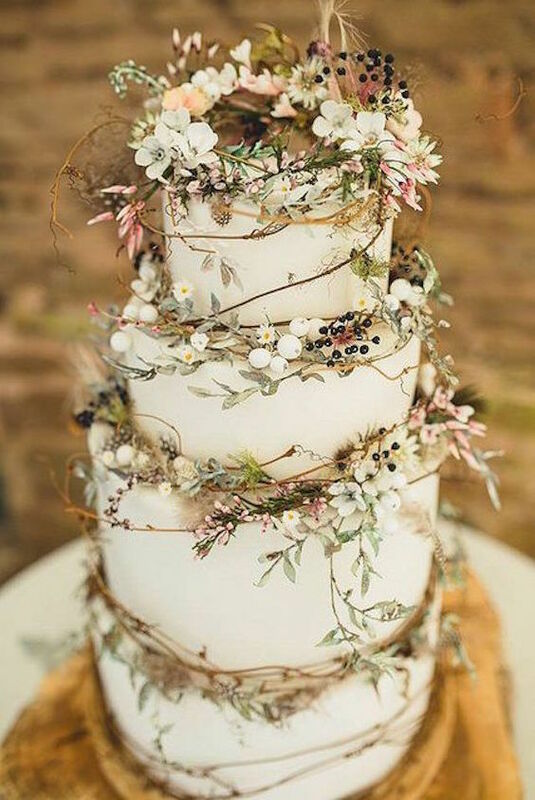 Gorgeous and elegant rustic wedding cake by Amy Swann Cakes. 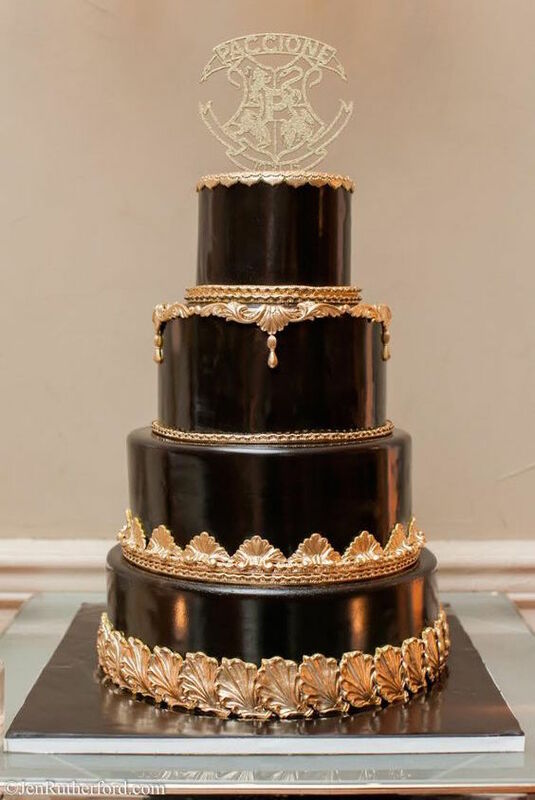 Perfectly smooth black and gold wedding cake by Palermo’s Custom Cakes & Bakery. 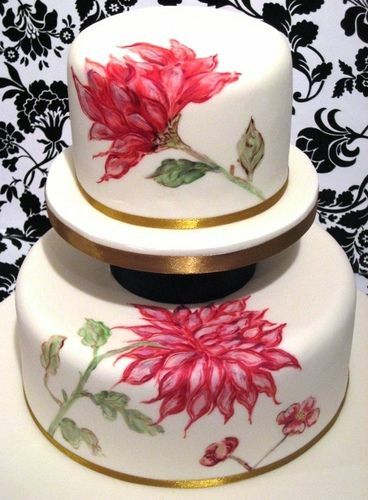 Fabulous and elegant wedding cakes from Amy Beck Cake Design. These simple delicate romantic wedding cakes are very stylish. 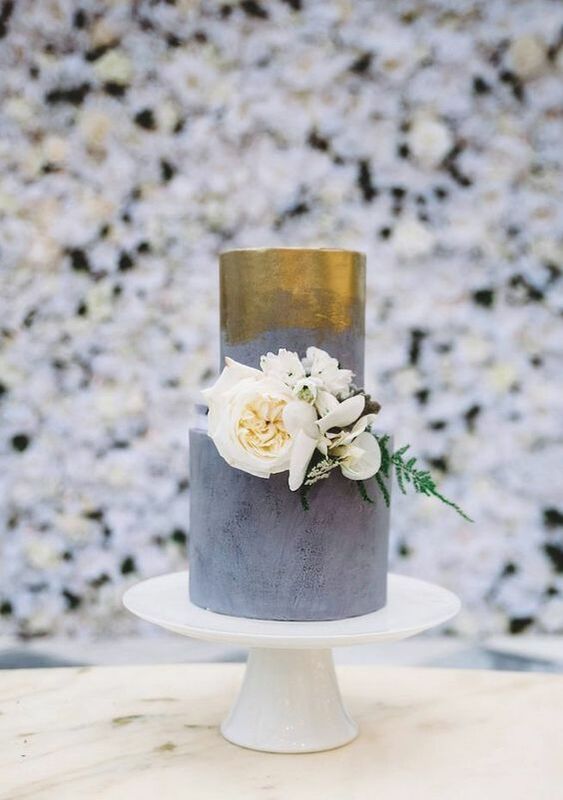 An elegant cake with a geode look captured by Tara McMullen Photography. Elegant wedding cakes for black tie receptions. 45 Classy And Elegant Wedding Cakes: Graceful Inspiration Tier by Tier. Blue is one lucky color. 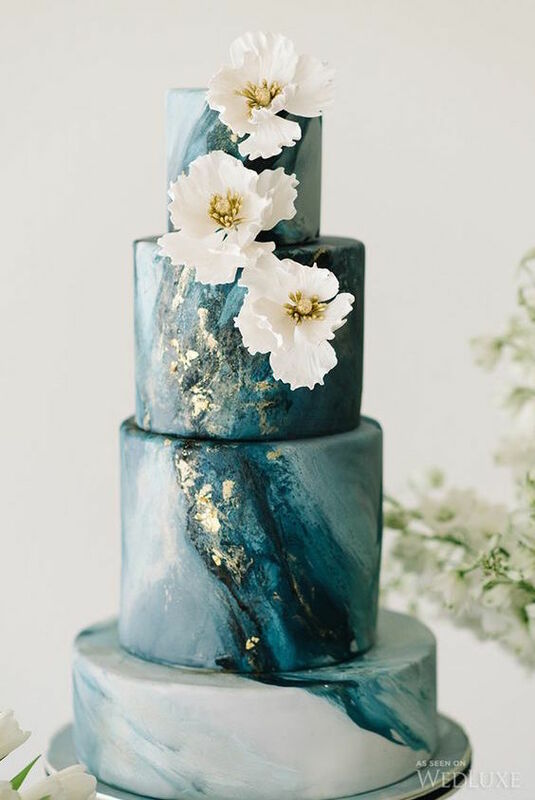 And for that reason, let’s channel this positive energy with this gorgeous “something blue” wedding cake. Wedding cake Designs Nevie Pie Cakes. 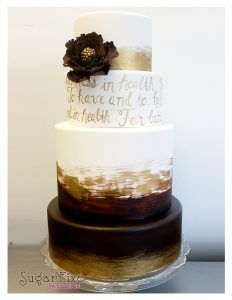 This wedding cake from Sweet Bakes boasts modern elegance with its golden pattern and clean lines. 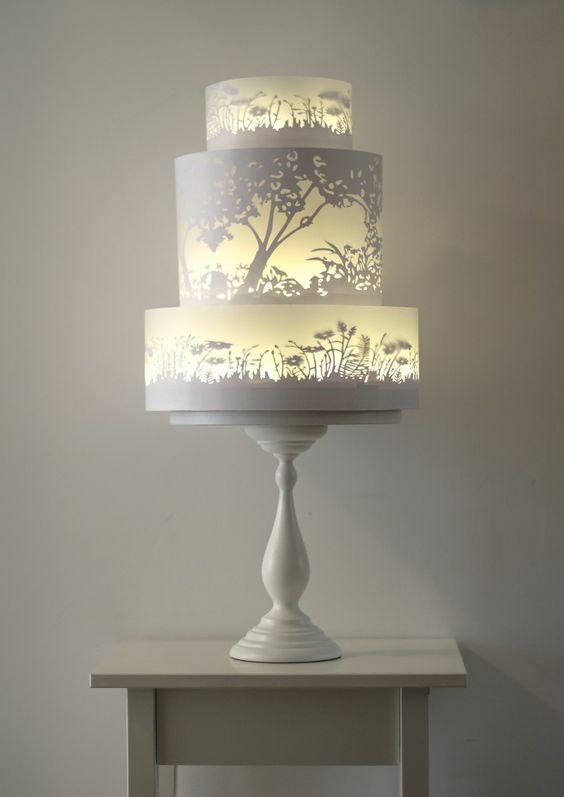 The glowing tiers of this wedding cake appear to be lit from within. Very clever painting by Rosalind Miller. 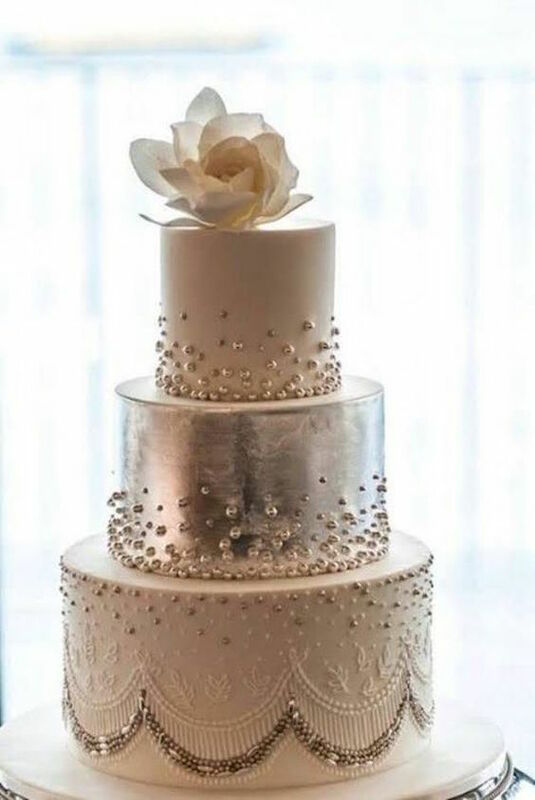 Gorgeous blush pink with silver single tier wedding cake by Sweet on Cake. 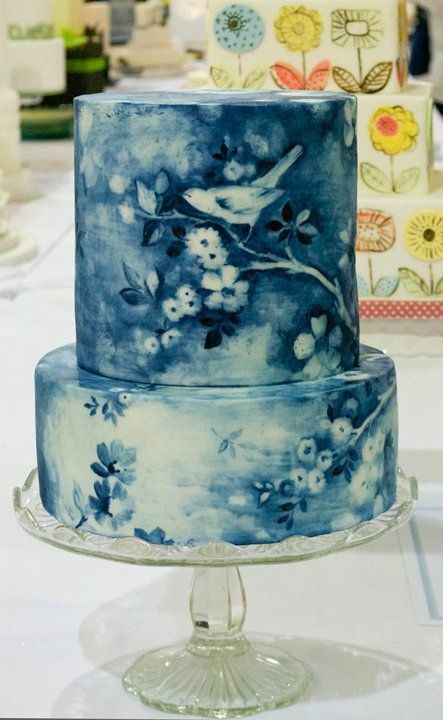 A wedding cake that has nothing of traditional. 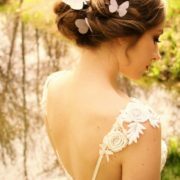 Love the vintage touch given by the cameo, the writing of the vows, and the silver pearls. A creation of Frost Cake Co. Photography: Krista Fox Photography. Play with the wedding cake geometry. Two square and one round tier in different shades of grey. 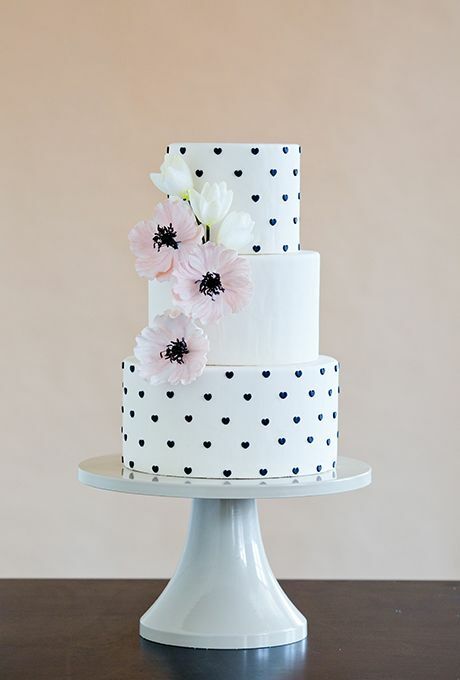 Instead of Swiss dots or polka dots, cake designer Erin Gardner of Wild Orchid Baking Co. decorated the tiers with tiny fondant hearts, which gives the design a preppy-yet-whimsical feel. Photography: Mark Davidson. 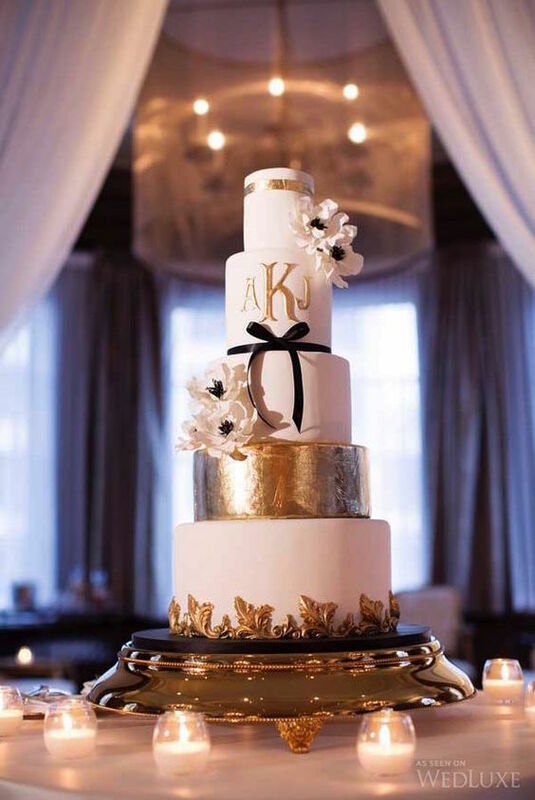 Add a glamorous touch to your wedding reception with a lavish and elegant wedding cake. 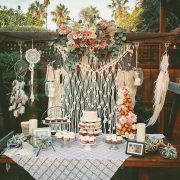 This naked cake with jewels tones has all the airiness of a romantic, lighthearted affair captured by Flora + Fauna + Liz Stewart Floral. 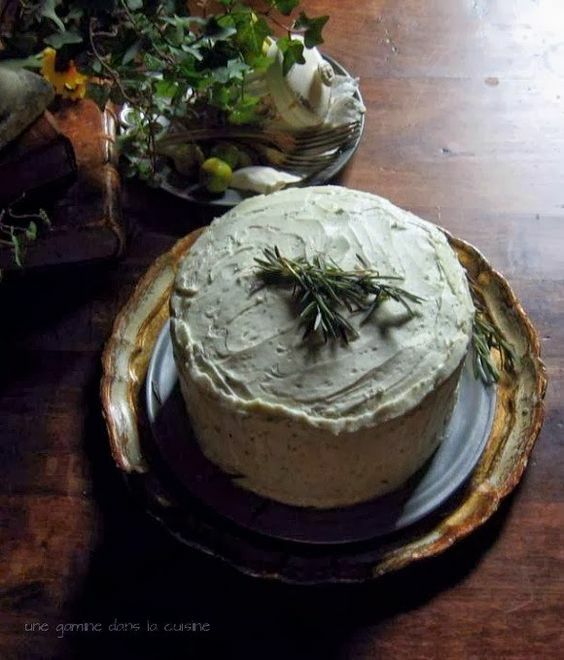 Rosemary citrus cake with mascarpone-honey frosting. How delicious is that? Hand-painted cake with pink flowers perfectly vintage. It’s got 4 tiers but it looks like 8! 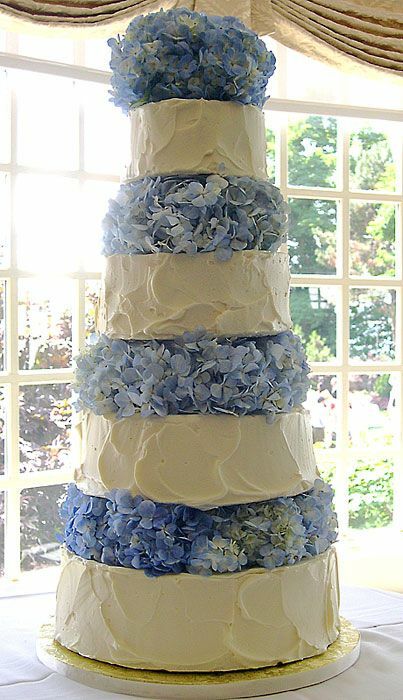 Thanks to the hydrangea in between the cake tiers. Bright and delicate 5-tiered cake with fresh flowers by Couture Cakery. 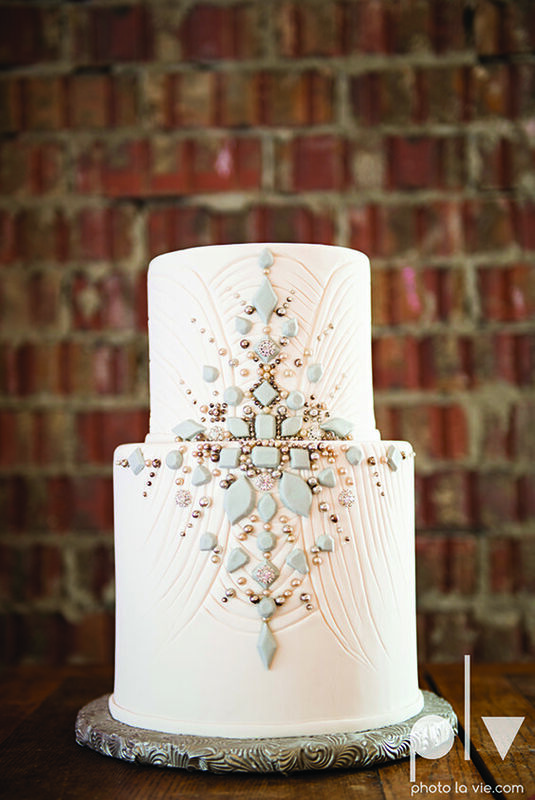 Tiffany-inspired elegant wedding cake designs. Buttercream wedding cakes. Elegance and texture!! 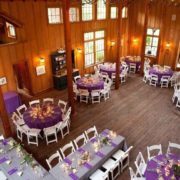 Getting Married For The Second Time? Check Out These Fab Tips! ¡Touche! Ciertos motivos. Manten este criterio es un blog sincero. Tengo que leer màs articulos como este.